Inspired by the great Chinese tea-houses of the world, Pu’er is situated in the trendy inner city suburb of Waterloo, offering patrons with unique dim sum and share dish menu, complimented by a large variety of Oriental tea and tea infused beverages. 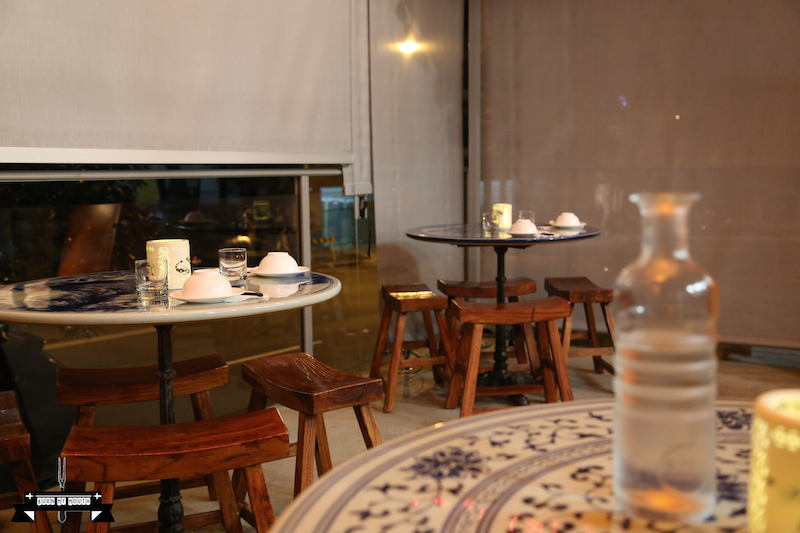 The restaurant has a nice ambience, with Chinese styled porcelain tables and wooden chairs. There is an open kitchen where kitchen staff prepares the fresh and wonderful food from their menu. We dined there on a Sunday night and the service from the staff was very attentive. 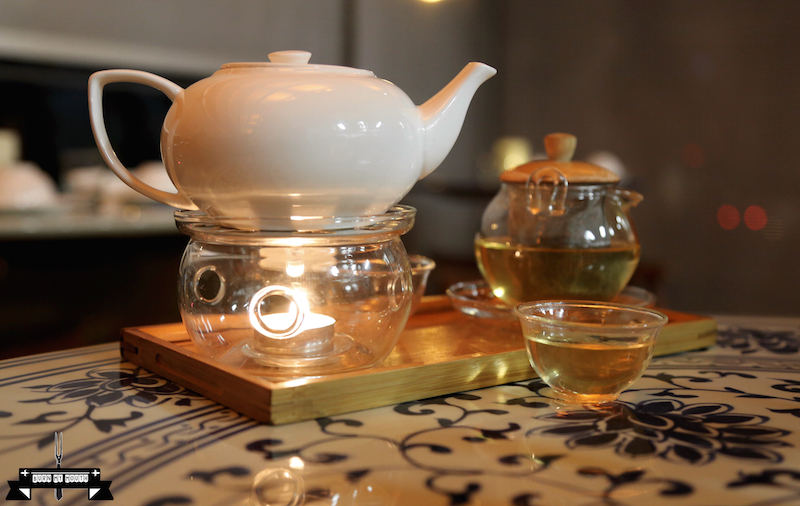 The name Pu’er is actually a variety of fermented dark tea produced in China. 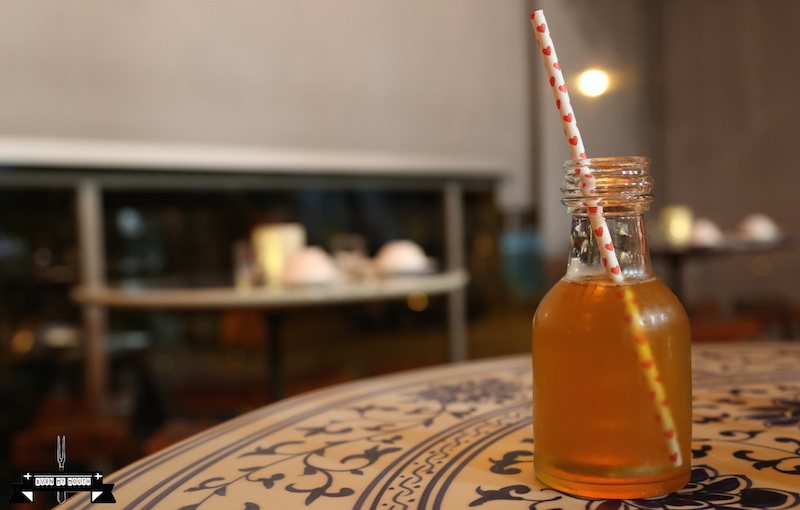 To reflect the name of the restaurant, the menu, sitting on a wooden board, consists of a wide range of tea-based drinks, from traditional teas to tea infused beverages. The food menu, however, is more concentrated. We ordered a pot of this tea, and this was served with a pot of hot water warmed by a candle, with the tea brewing in a separate flask, all served on a wooden tray. The wait staff explained how the tea ceremony worked and informed us that the best flavour from the tea would come about after the third infusion. The tea had a fresh nutty sweet flavour which became more subtle and delicate through further infusions. A blend of peach iced tea with phoenix tea, along with a kick of alcohol, this drink was slightly sweet with some wooden undertones, which was very refreshing. This pan-fried medley of shitake, champignon and straw mushroom dumplings had sticky skin with subtle mushroom flavours inside. The soft skin contrasted well with the crunchy fillings of mushroom and bamboo. They were lightly fried and were not oily at all. A nice entrée choice. These dumplings were filled with Teo Chew style spiced pork, roasted crunchy peanut and shitake mushroom. The infusion of flavours and textures from these little gems were awesome – we were able to taste the spiciness from the chilli, feel the crunchiness from the nuts, and experience the softness from the skin which absorbed the saltiness from the pork. The skins on the dumplings seem thicker than traditional Chinese dumplings, but we thought this was done on purpose in order for the skin to absorb the flavours of the sauce from the filling. A very enjoyable dish. This main dish appeared small but was really tasty. The first thing we noticed when the dish was brought out was the smell of tea in the air from the dish. The pork was soft and easy to chew, and its meat just melted in our mouths without falling apart. The crackling was crispy and light. This dish had the taste of traditional Chinese tea and spices, which went down well with a bowl of rice. The inclusion of tea eggs was a nice touch and reminded us of Chinese marbled tea eggs. We thoroughly enjoyed this dish. This consisted of free range chicken and shitake which was slow cooked and pan fried. The sauce, which had a heavy vinegar flavour, was served on the side. This was a modern rendition of a classic Chinese dish, with the sauce on offer being more sweeter than the sauce from the traditional dish. The chicken was cooked to perfection, with the meat being soft and the skin being crispy. Jono found this dish delicious, but I thought the sauce was too sweet for my palate. 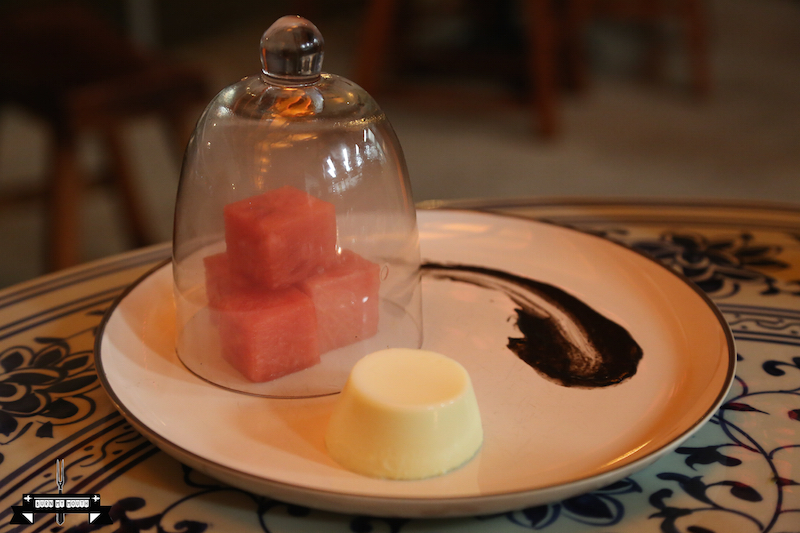 This pannacotta was served with black sesame soup and smoked melon. The watermelon which was smoked with lemongrass had a weird taste, but apart from that, the texture of the pannacotta was perfect and it went well with the black sesame. This was a nice dessert to end our meals. 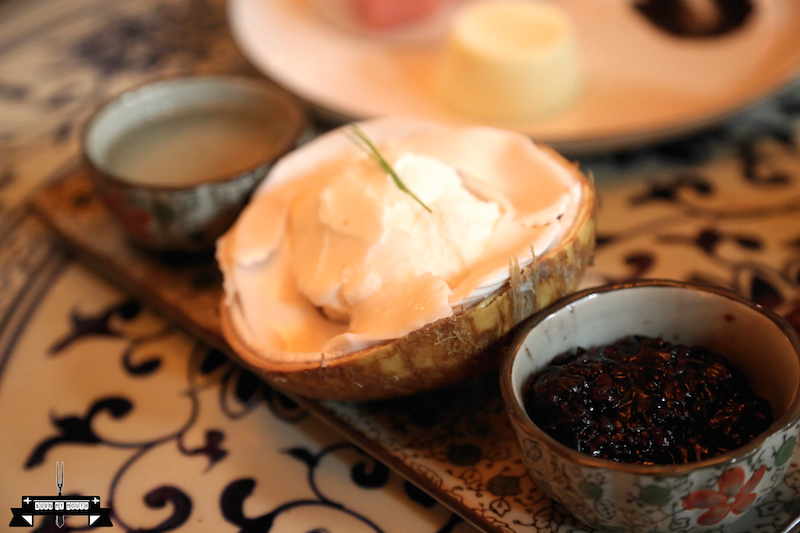 The sorbet was served in a coconut shell from a young coconut, with coconut water and black sticky rice on the side. The whole dish carried out the coconut theme well. It was subtly sweet and delicious. 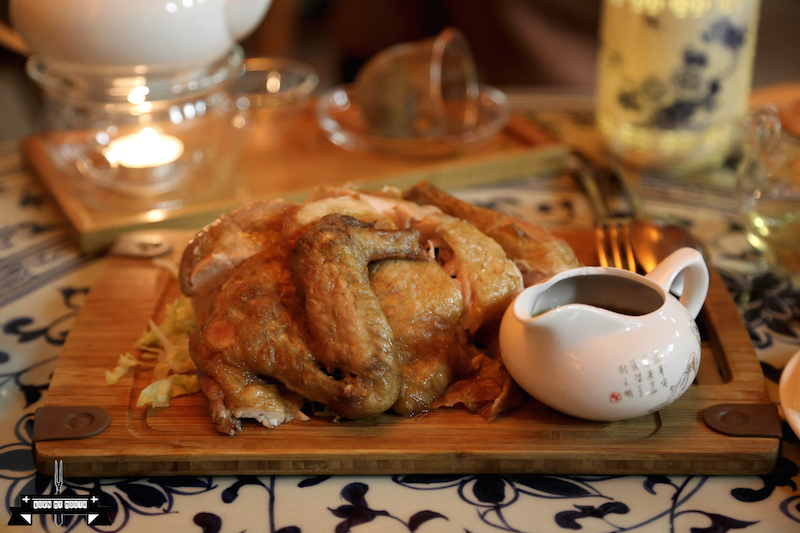 Pu’er is a great place where people can enjoy great Chinese food in a setting that is comfortable and open. 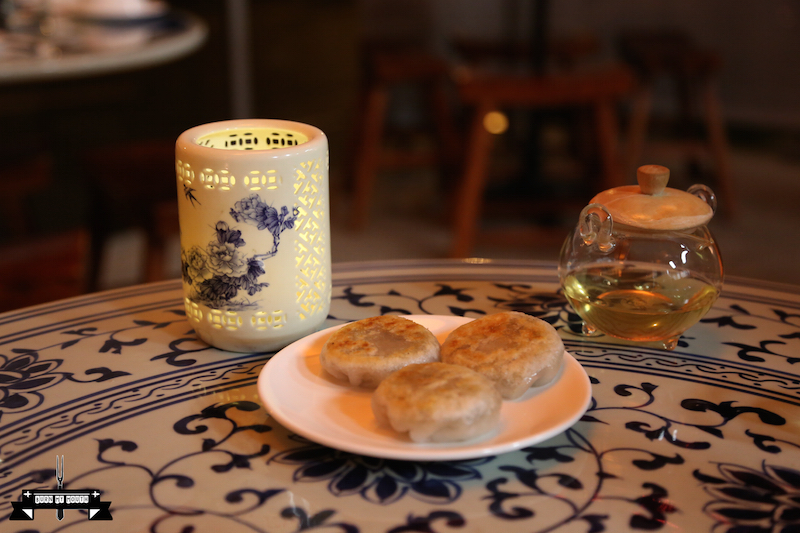 It is interesting to see how traditional Chinese dishes have been modernised here, and with a pot of tea and a few dishes, we can imagine people sitting here for hours chatting away and enjoying life (as well as the great food and drinks). 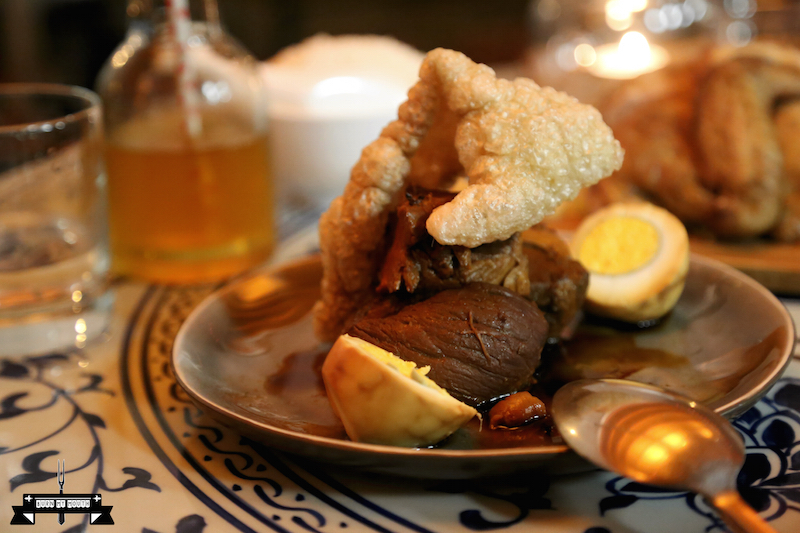 For the novice in Chinese cuisine, Pu’er is a great place to begin your experience in the variety of flavours that Chinese cuisine has on offer. 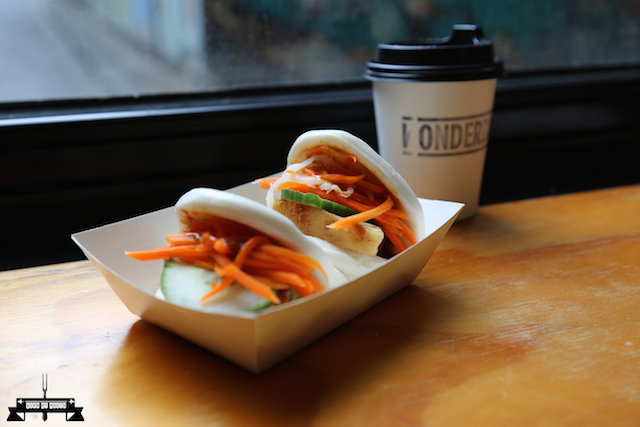 A wonderful way to start the day on a cold wintery morning in the city of Melbourne is to warm yourself up with a couple of hot steaming soft buns. 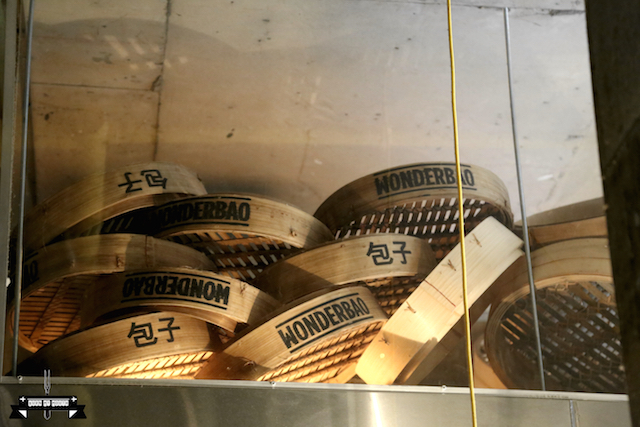 Wonderbao is situated inside a small arcade at the end of a lane. It is a small store, with exposed brick walls, and wooden tables. 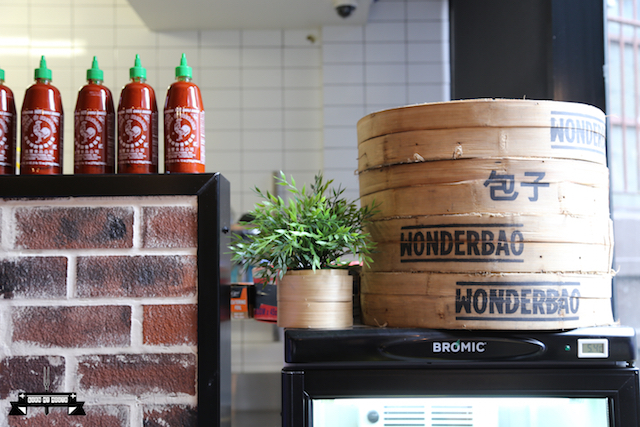 The store is thoughtfully decorated with bamboo steamers and a row of Sriracha bottles, giving it a very Asian vibe. These are available daily after 10:30am. We tried all three of them – Braised pork belly ($4.20), Roast pork belly ($4.20) and Fried silky tofu ($4.20). 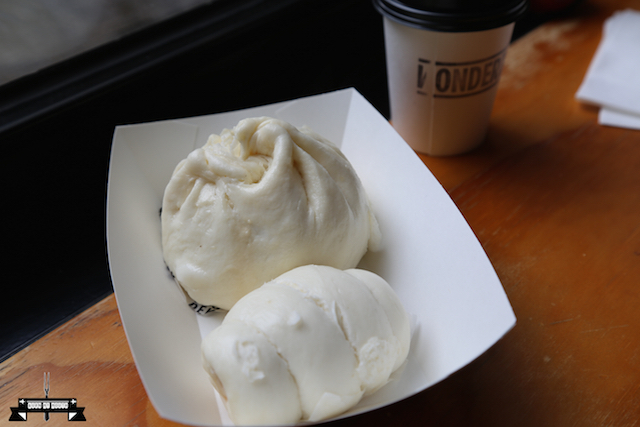 The first impression of the hot steaming buns was how soft and fresh they were. The fried silky tofu gua bao was my favourite – the contrasting textures of the soft bun, tofu (which was crisp on the outside and soft inside) and the crunchy peanuts, along with the flavours from the sweet soy, coriander and pickled mustard, made this bun so pleasing to eat. The roast pork belly gua bao was tasty, with crispy crackling and soft pork belly, and the use of the hoi sin sauce and cucumber reminded me of the taste of Peking duck pancake. The pork in the braised pork belly gau bao was a little too chewy for my liking. 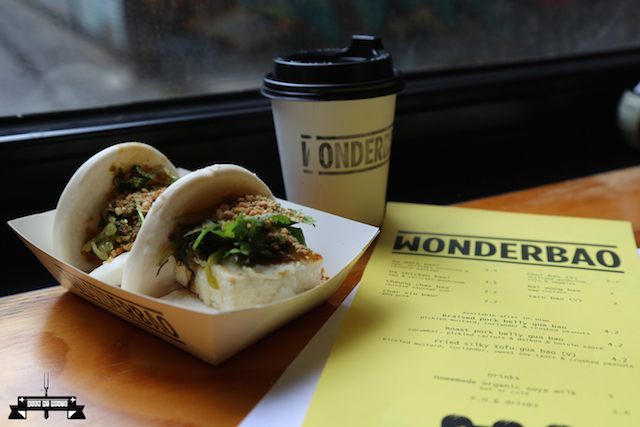 The Da chicken bao ($3.50) was a big bun, with chicken, egg and shiitake mushroom inside. It was nice and tasty. The Cheung chai bao ($2.20) had Chinese sausage inside the bun. A cup of home-made soya milk ($3) went well with the buns. I would have preferred the milk to be less sweet and to have more soya bean flavours. 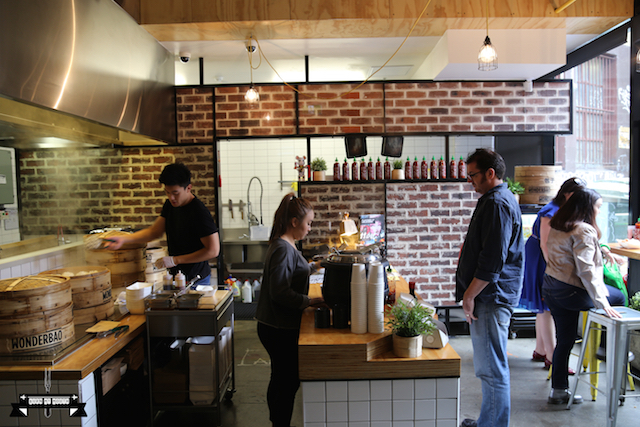 Overall this place is worth visiting if you are ever in Melbourne – it is cheap, quick and tasty. What more can you ask for? 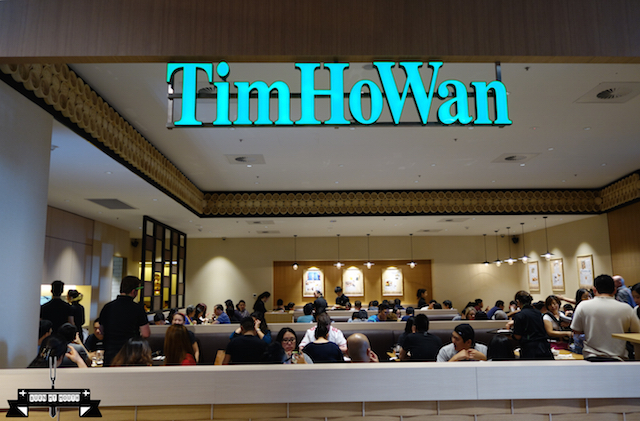 Tim Ho Wan was established by former dim sum chef of Four Seasons, Mak Kwai Pui, who opened a hole-in-the-wall dim sum restaurant in Mong Kok, Hong Kong in 2009. 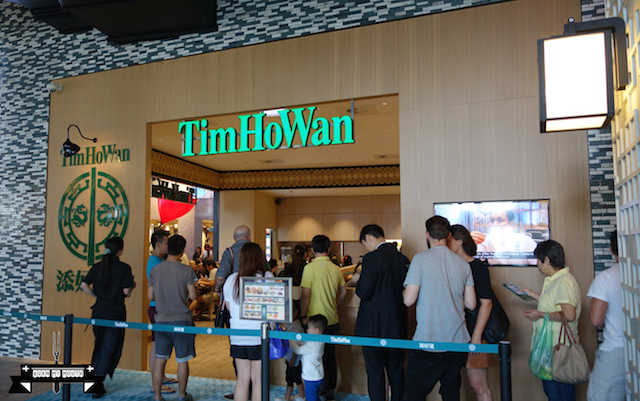 Tim Ho Wan has since been known as the cheapest Michelin star restaurant in the world. 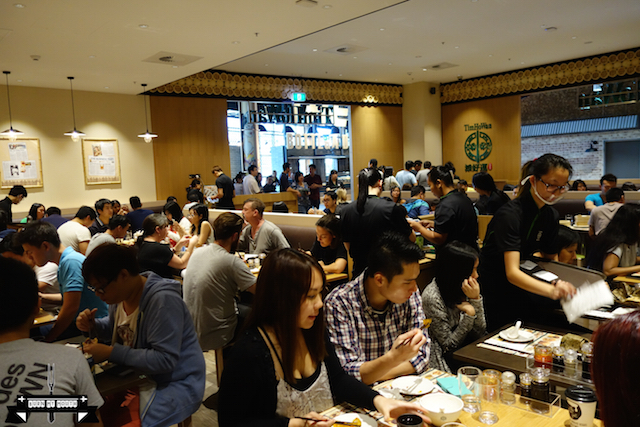 Tim Ho Wan has now opened in Sydney. 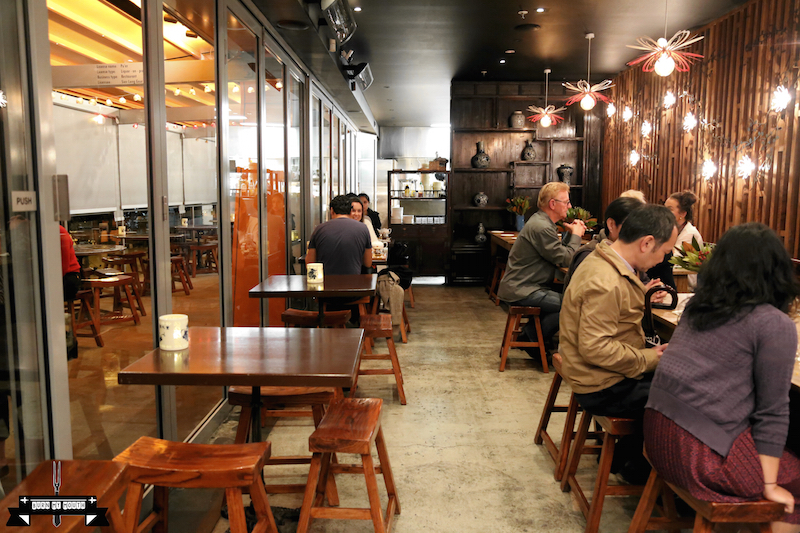 Located in Chatswood, in the new precinct known as The District, the restaurant is serving up 25 made-to-order dim sums on a first come first serve basis. The executive chef of the Sydney restaurant is Eric Koh, who is the former chef of Mr Wong’s in Sydney. With great anticipation, I arrived here at around 4.30pm on the soft opening day of 28 March 2015, with former foodblogger, Ando from The Lambstock. We waited in line for around half an hour before being allowed to go inside. Apparently some people had to wait for over 2 hours earlier in the day to get in. 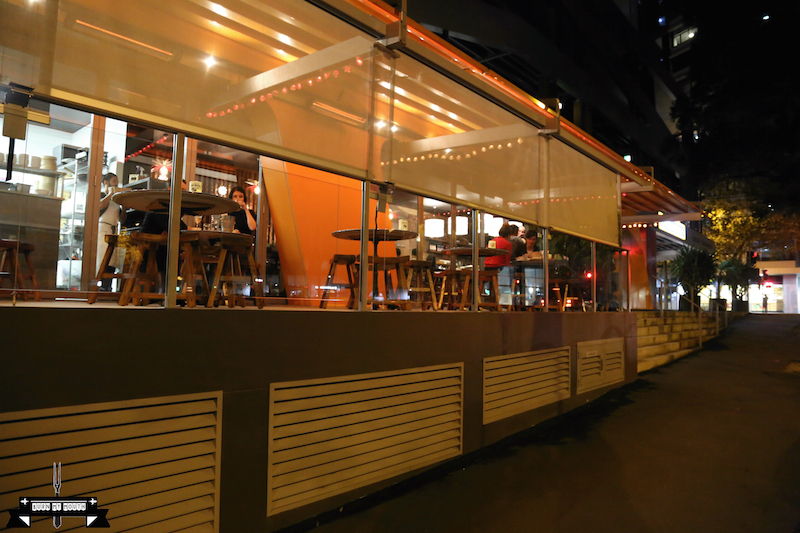 The restaurant is in an open space which is brightly lit with an open kitchen. With its simple tables and chairs, it reminded me of a food court. They played mainly Canto-pop music from the 1980s, and some of those songs brought back memories of my childhood in Hong Kong. We had to order the food by specifying the quantity on a pre-printed list and handing the completed list to one of the wait staff. The wait staff then printed out a list of our order, and when the food came, the staff would cross out the corresponding item from that list. Observing the wait staff as they worked, they seem very chaotic, and looked like headless chooks running around. Maybe it was because most of the staff were young and lacked experience. The first few dim sums arrived at our table relatively quickly, although we had to ask the wait staff two times before they brought out the tea that we ordered. After the arrival of the first few dim sums, the rest of our orders did not arrive. We waited for 15 minutes before asking a wait staff to check for us. She took our order list away to check but never came back with the list or an explanation. It took another two wait staffs to find our order list and they assured us that the food was coming. It wasn’t until we chased up again, that the remaining food on our list was brought out. This was 40 minutes after the first lots of food came out. 40 minutes would not seem like a long time if we were in a fine dining restaurant, but in a food court type place where food was being brought out quickly, and when other people were able to order, eat and leave within 30 minutes, it seem like an eternity to us. It surprised us that no wait staff knew what was happening when something went wrong, and they were all too busy bringing out food to notice anything wrong with their customers. Anyway, enough about the service. Now onto the food. The first three dim sums came out virtually at the same time. The spring roll was very crispy, and the filling of egg white, prawns and spring onions was light and tasty. One of the finer spring rolls I have tried. 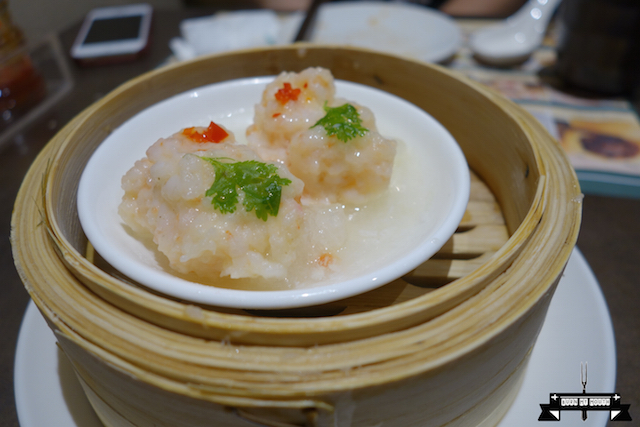 This dim sum dish was made from “white carrot”, more commonly known to us as turnip. 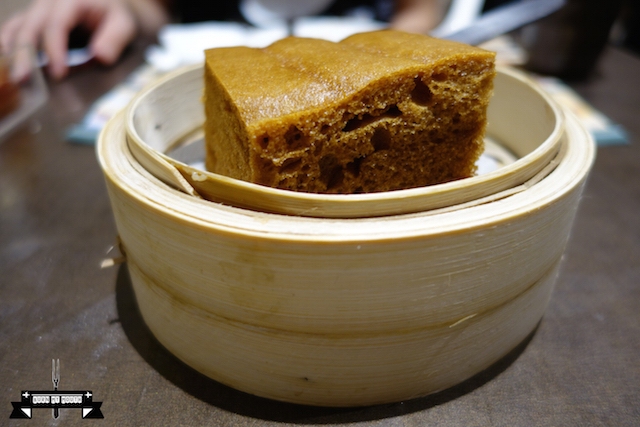 Unlike most Chinese restaurants which use a lot of flour and not much turnip when making this dish, the carrot cake here was filled with visible chunks of turnip, and this was evident in the taste of the dish. The other fillings did not overpower the taste of the turnip, and complimented well with the star of the dish being the turnip. Tasting this dish brought me back to my childhood, where my late grandmother used to make this at home every Lunar New Year. I still remembered the large chunks of turnips in her carrot cake, and this dish brought back those memories. A must try dish for all. The chicken feet had a slimy texture, which was not very inviting, but the rich abalone flavour was fully infused into the chicken feet. This is not a dish for the faint-hearted. Within a few minutes, three more dim sum dishes arrived. 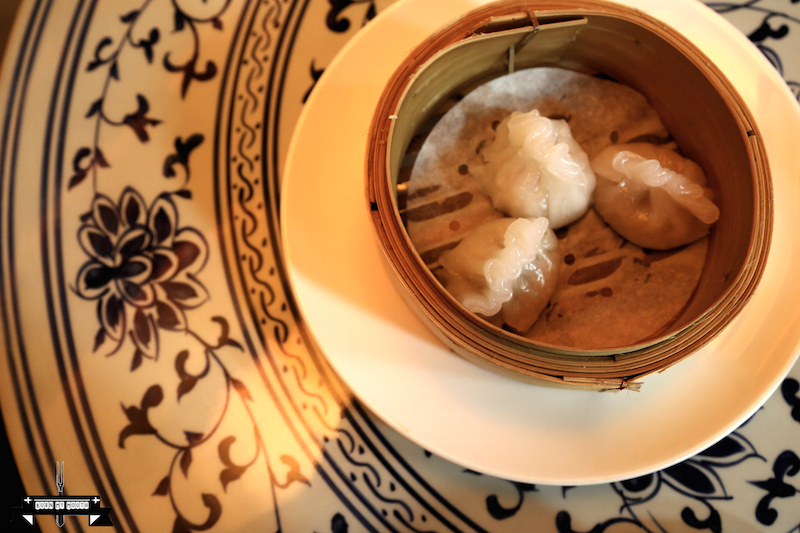 These small dumplings were steamed perfectly, with a lot of prawns densely packed inside, bringing out a nice sweet flavour. One of the dumplings unfortunately still had bits of prawn shells inside. The dumplings were full of flavour, with fresh spinach inside. However, I found the dumplings a bit too oily for my liking. This dish was a pleasure to try – it was full of flavour and the beancurd skin was soft and smooth. This was a delight to my tastebuds. After these dishes, we had to wait 40 minutes for the next dishes to come as noted previously. They all came out one by one individually over a course of about 10 minutes. 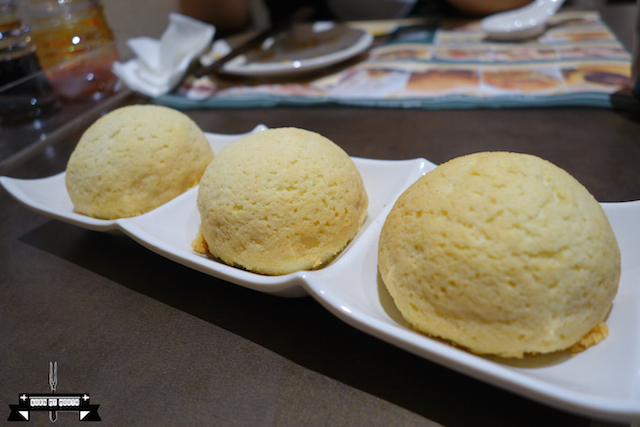 This was like the Chinese version of a sponge cake. The cake was full of egg and buttery flavours, and it was really soft. However, the texture was a bit dry at times. 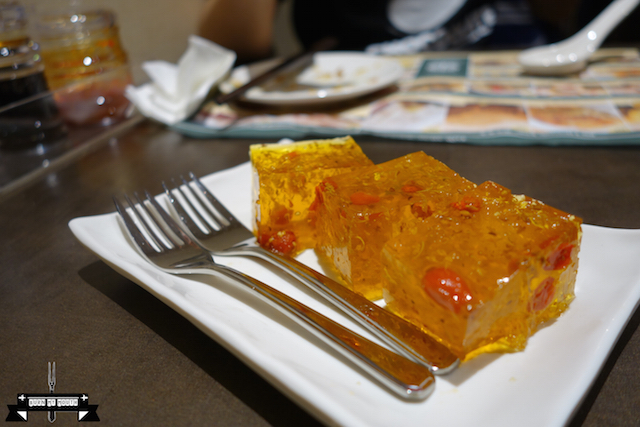 A very traditional Chinese yum cha dish that is hard to find nowadays. The fish maw was full of delicate flavours, with soft silky texture, while the prawn paste provided a good contrast as it packed a punch of flavours. 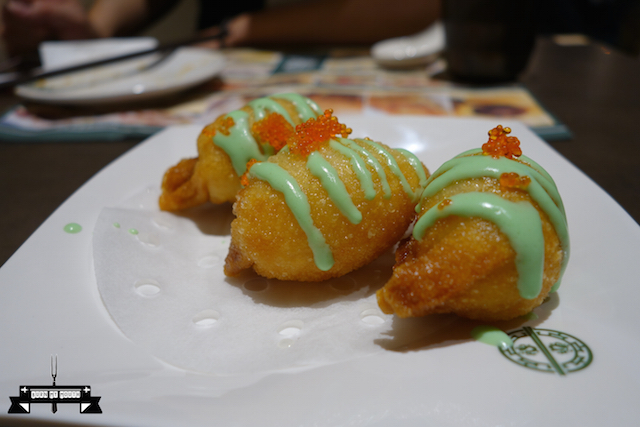 Interesting twist to a traditional dim sum dish, the dumpling was overly crunchy, but the wasabi mayo and fish roe provided some kick to this dish. This was the dish of the day. The golden pastry on the crust of the bun was crunchy yet soft, and the sweetness of the bun blended well with the velvety texture of the luscious pork inside the bun. This is the dish that everyone must order if they come here. This has to be the best pork bun I have tasted here in Sydney. A winner in every way! A refreshing dessert which was light and sweet, with the subtle sweetness from the osmanthus flowers and goji berries shining through. This is a much better way to end a yum cha experience than having a heavy cream laden mango pancake. 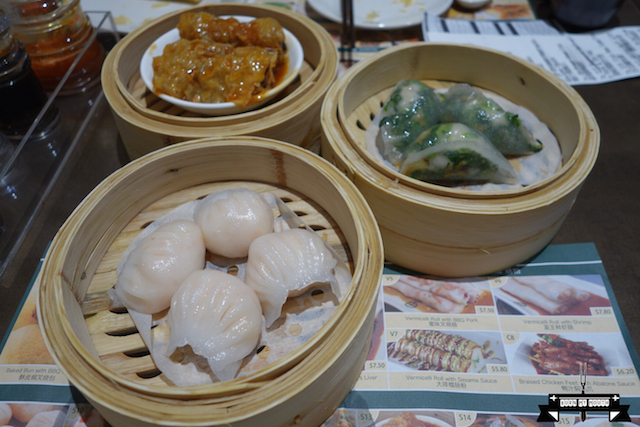 Overall, the dim sum dishes here were simply divine. 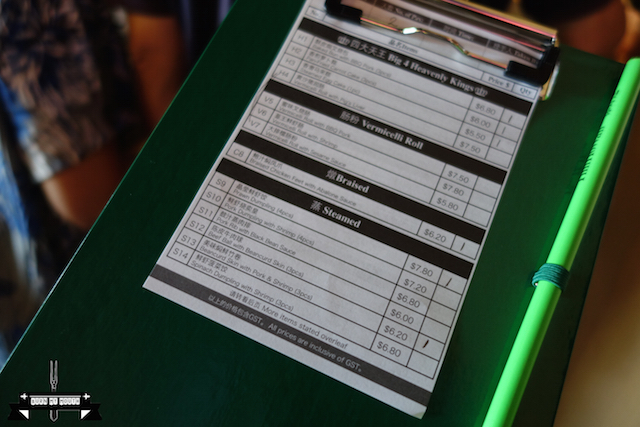 The prices, though, were not that much cheaper to what you find at most Chinese restaurants in Sydney, unlike its counterpart in Hong Kong. Shame about the service though but I guess this is a learning experience for the staff as well, and the service should improve over time.